SAGE India Digest: Are online reviews affecting your brand image? Are online reviews affecting your brand image? Rapid growth of online communication has connected consumers through various social media platforms such as Facebook, Twitter, Google+ and so on. Consumers are mostly indulged in informal communication about brands in the form of online product reviews, where they share their experiences of such brands in various brand communities, brand pages and other online social media platforms. Such reviews are mostly referred to by consumers while they are making a purchase so it is highly probable that these can influence the consumer’s purchasing decision. Consumers generally give their opinions on various brands through online reviews, which creates an image of the brand in consumer’s mind. ‘Brand image is the overall perception that consumers have of a brand, and its uniqueness in comparison to the other brands.’ It can be divided into functional brand image and hedonic brand image. Functional brand image concentrates on the consumer’s knowledge and beliefs about the functional aspects of the brand whereas hedonic brand image stresses on consumer’s sentiments, affections and emotions towards a brand. 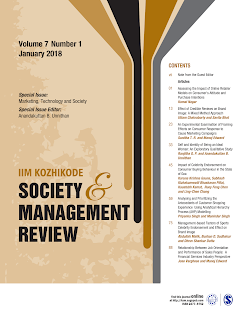 This article from the journal 'IIM Kozhikode Society & Management Review' attempts to examine the effects of online reviews on both functional and hedonic aspects of brand image. 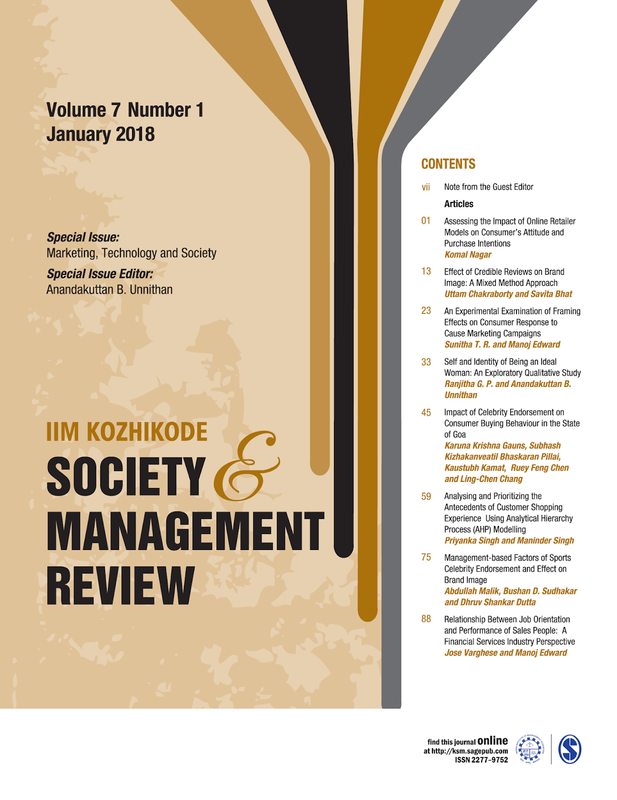 The study in this article follows a mixed method approach using both quantitative and qualitative techniques. Quantitative techniques have been used to measure the objective experiences of the consumers, whereas qualitative techniques have been used to examine the subjective experiences of the consumers. The study concludes that online credible reviews affect consumer’s brand decision and thus play a decisive role on purchase intentions. Marketers should include social media marketing strategy in their marketing mix and should be able to maintain their credibility in the online space.